Two years after the second-generation Lincoln MKX debuted, the premium midsize crossover built in Oakville, Ont., will undergo a freshening for the 2018 model year. Spy photographers recently spotted the MKX testing in Dearborn, Mich. The vehicle's front end was heavily camouflaged, but it appears it will adopt the mesh grille that has rolled out on the Lincoln MKZ, Continental and Navigator. The spy photos indicate changes to the lights, possibly to a two-tier design like those adopted by the Jeep Cherokee and Hyundai Kona. Inside, the vehicle will likely get some tweaks, and potentially gain new Black Label trim options. It's unclear if and how the MKX's powertrain will change, although it could keep the EcoBoost V-6 engine. A new nine-speed transmission could replace the six-speed gearbox. The freshened MKX is due out late this year or early next year. Ford Canada sold 3,551 units in 2016, up from the 2,900 the year before. Sales are up only slightly through the first six months of 2017, during which time the automaker has sold 1,796 units compared with 1,732 a year ago. 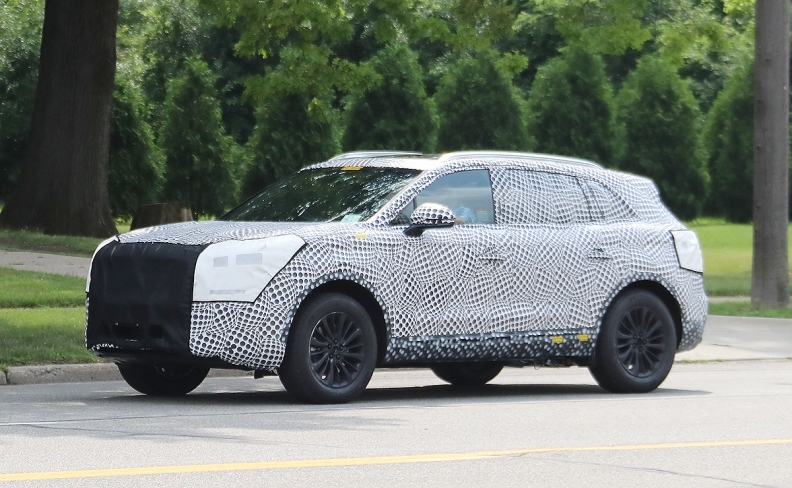 Last month, spy photographers also captured the smaller MKC crossover testing in Dearborn. The MKC is expected to undergo cosmetic changes similar to those of the MKX.